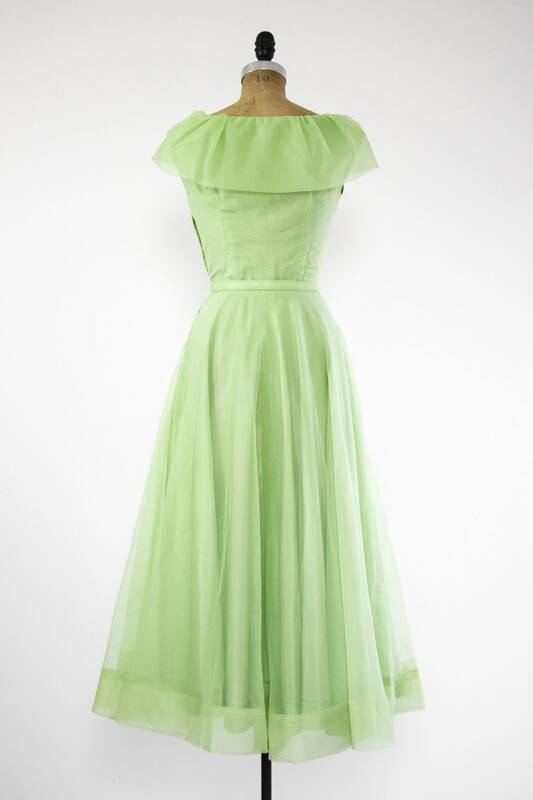 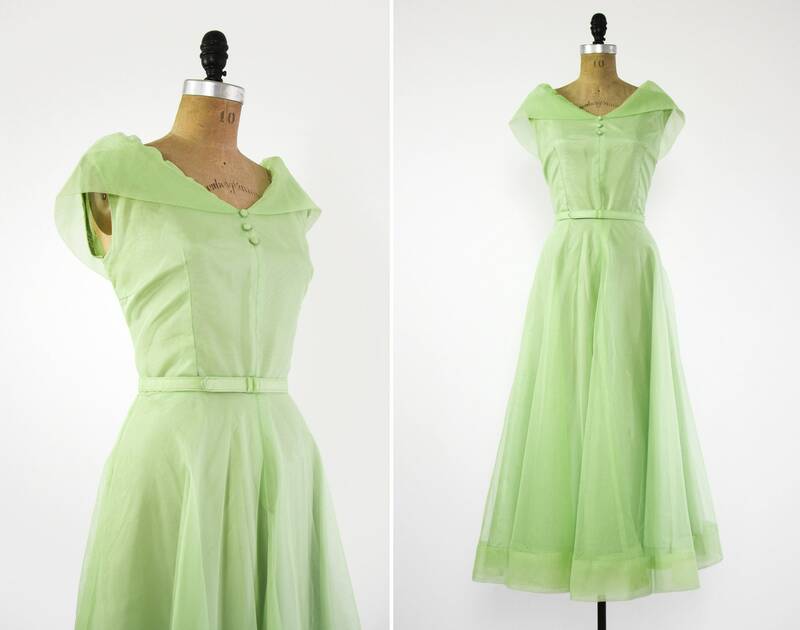 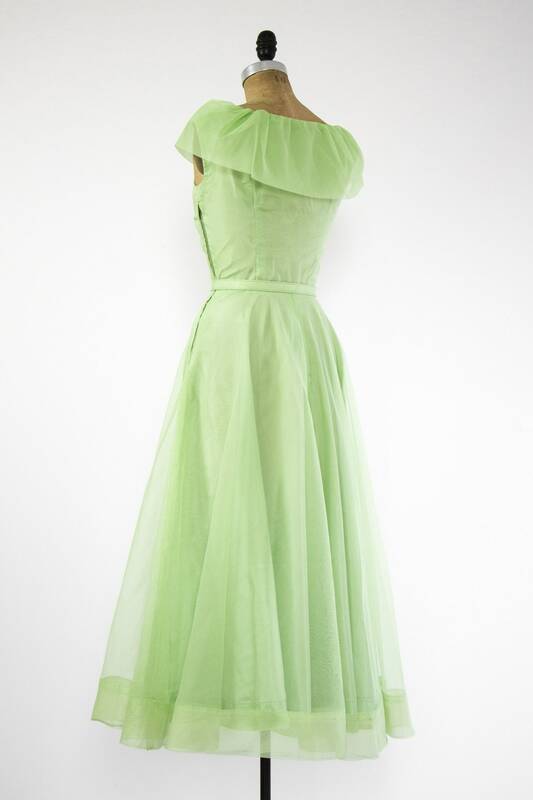 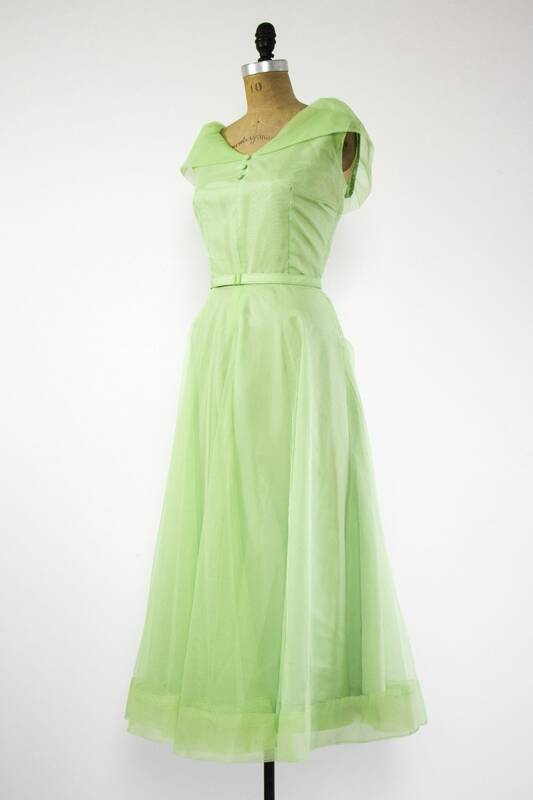 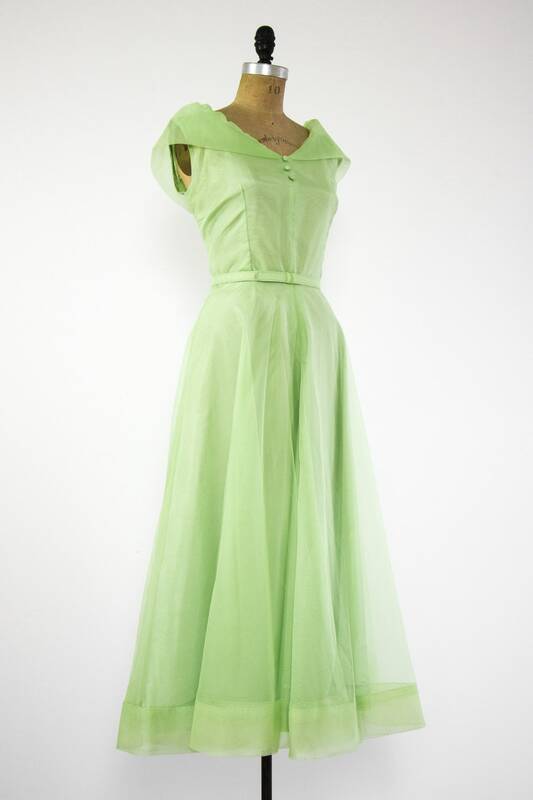 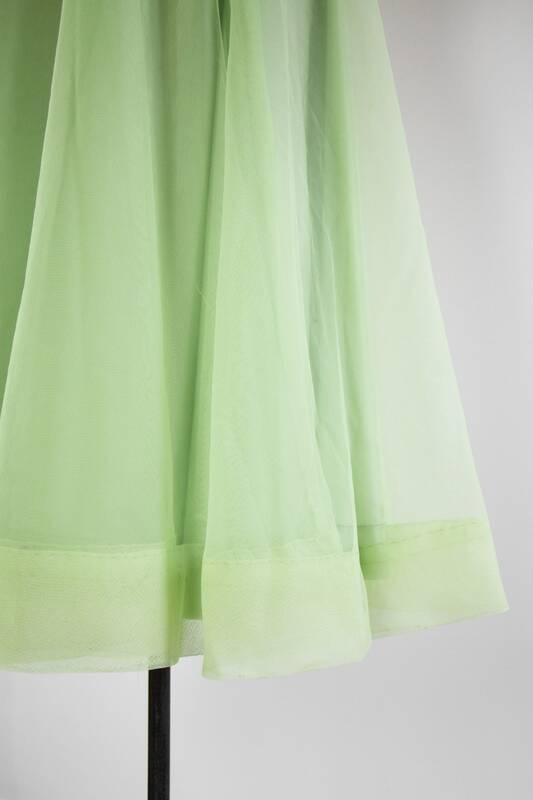 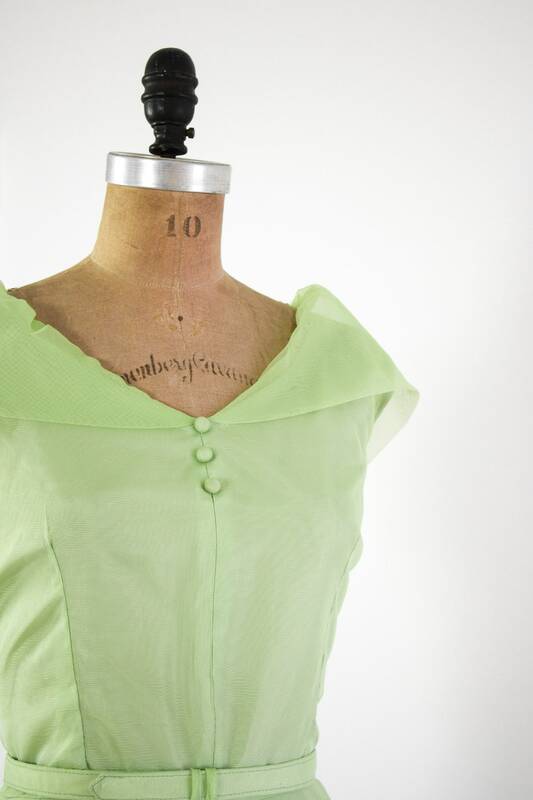 Vintage 1950s light green dress made from sheer crisp organdy layered over taffeta. 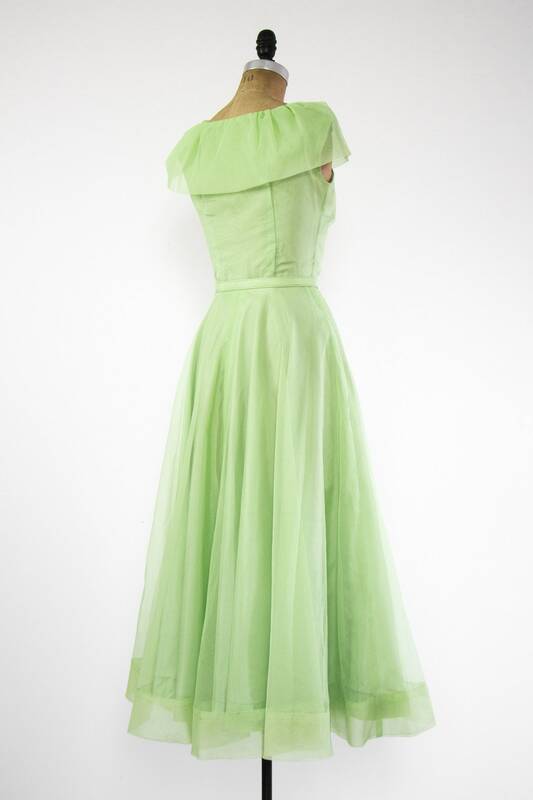 Classic 50's fit and flare silhouette with a fitted bodice and full skirt. 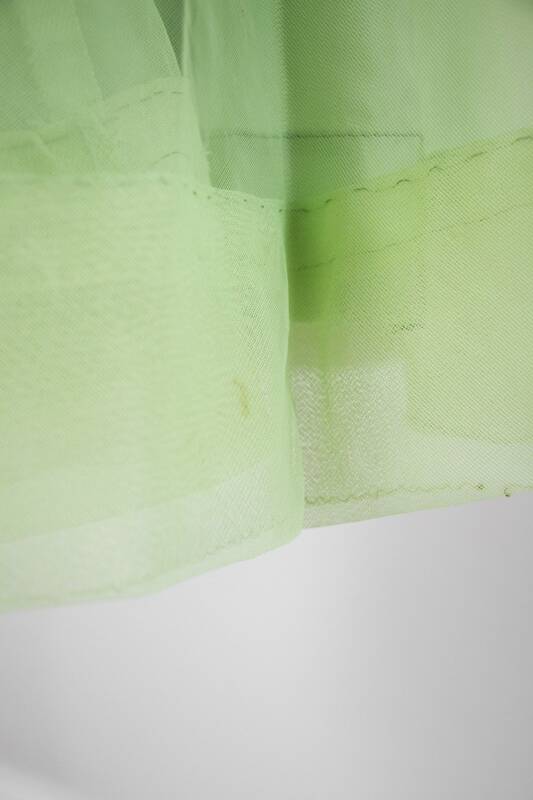 Has a side metal zipper. 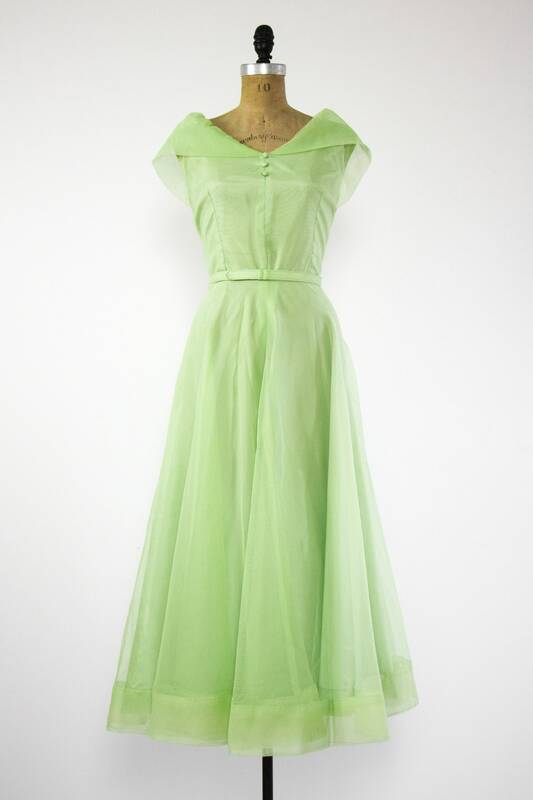 Come with matching belt.